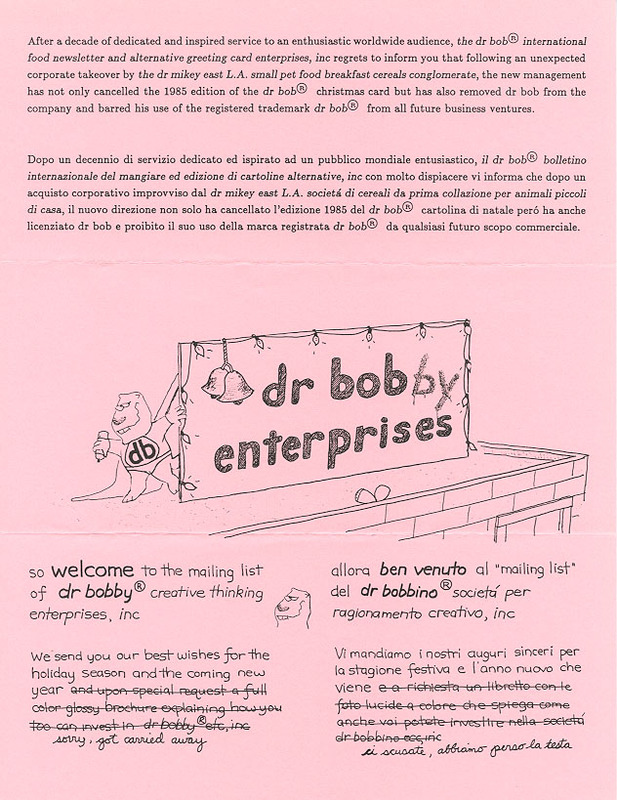 dr bob enterprises is the catch-all name given to the creative activities of dr bob, intended to sound like a company name. It became a dot com in 1998, although the Way Back Machine only began tracking it in 1999. And of course every business needs a business card. Entering the 21st century (third millennium), the principal activity of the dot com acquired a new name: food blogging, with the advent of web logs (=blog, for short). Our on-line cooking diary documents our amateur efforts in the kitchen as we stumble through life, lucky enough to be in a comfort zone where this kind of playful activity is possible.